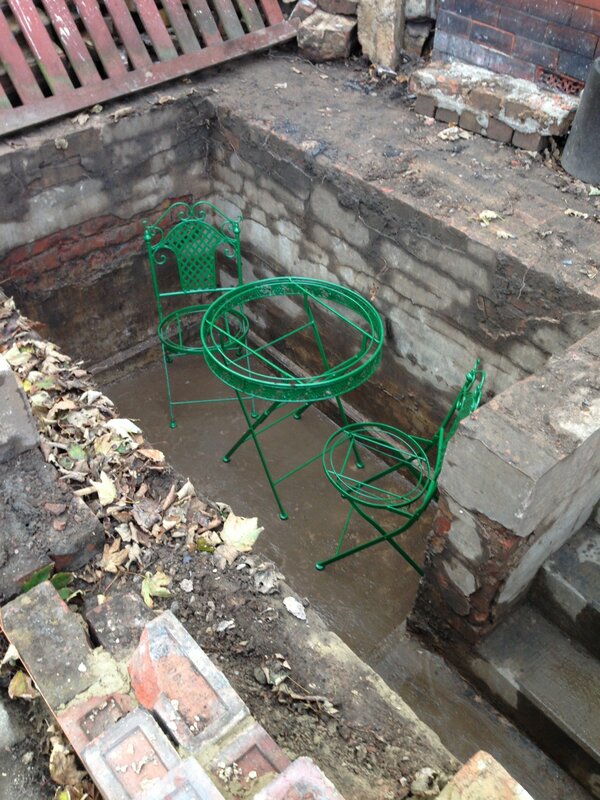 Paul Smith kindly shared these photos and details of air raid shelter in his own garden. During WW2, the couple that then lived in our home had a custom built shelter dug! She wanted her own shelter, especially after 6 houses were brought down in an air raid! He, was a retired civil engineer, and hence a pretty nifty piece of work! 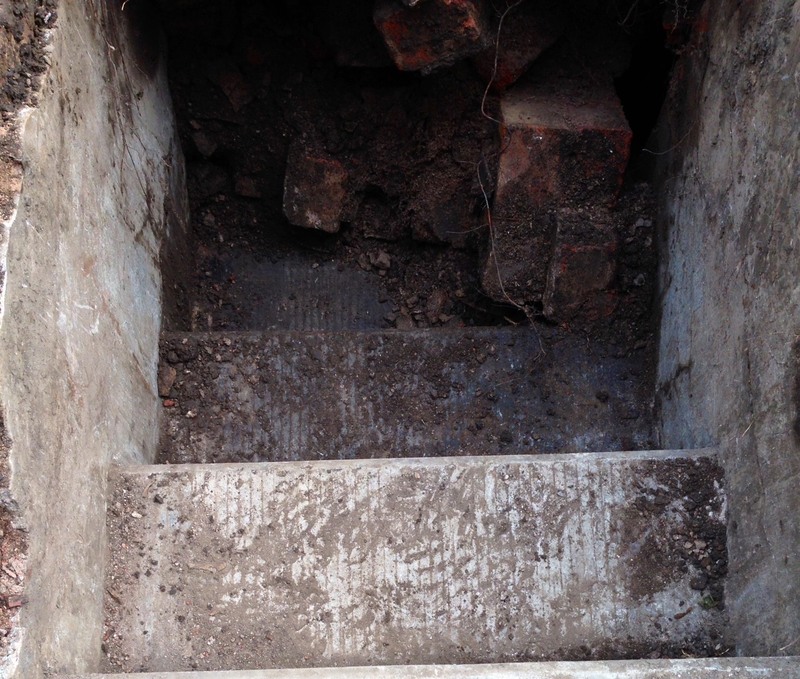 Scroll on to 2014, by which time the roof had long been removed, a concrete slab, and the hole filled in and a garden created to our having to dig up said garden to find source of damp problem – blocked air bricks which had been covered over with concrete when garden recreated! We found the top step which, had a pivot hole at one end and decided to dig down! The rest you can see, nobody in the street remembers it but one gentleman, now in his late 80’s, does remember the shelter being there. Still not as nice as the original mind you. The outer wall of the waterwheel in Liverton has the remains of a painted sign for an old licensee. Francis Pybus of the Downe Arms, his family are listed on the 1891 census as follows. Roseberry Square library has a new plaque that marks the location of the First World War, Royal Naval Air Station.